पिछली Post में मैंने आपको बताया Section क्या है ? Sectioning किसे कहते है ? Sectioning क्यों की जाती हैं और इसके क्या क्या फायदे हैं कुछ और भी महत्वपूर्ण जानकारी Share की थी आपसे | इस आर्टिकल में आपको बताऊंगा Type of Section in Engineering Drawing ? Section कितने प्रकार के होते हैं ? 1. What is Full Section. 2. What is Half Section. 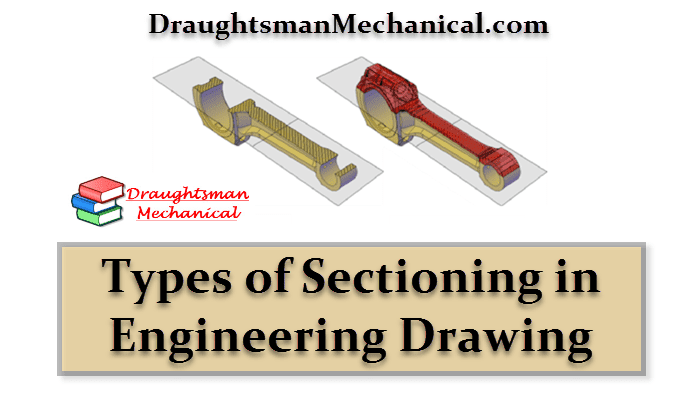 What is Full Section and Half Section in Engineering Drawing. (i). Center line in Half Sectional Object View. (ii). Hidden Line in Sectional Object. (iii). Some Cylindrical Parts in Section.